An 18-foot snowman named Franklin is drawing national attention after the family who built him put out a call online for knitted materials like sweaters and scarves so they could sew together a 20-foot scarf to keep the white giant warm. 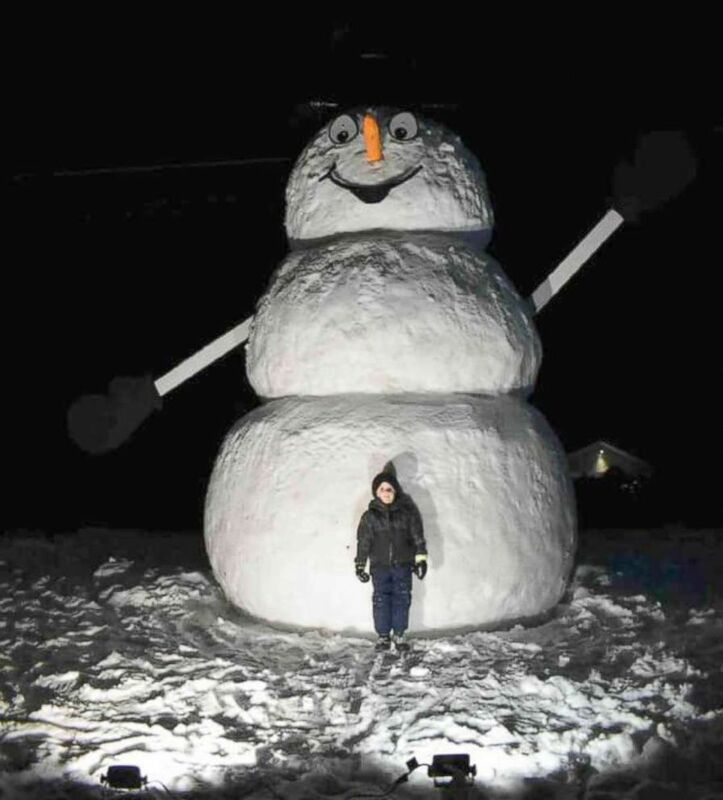 NEW YORK - There’s an 18-foot snowman in upstate New York in need of a really long scarf. 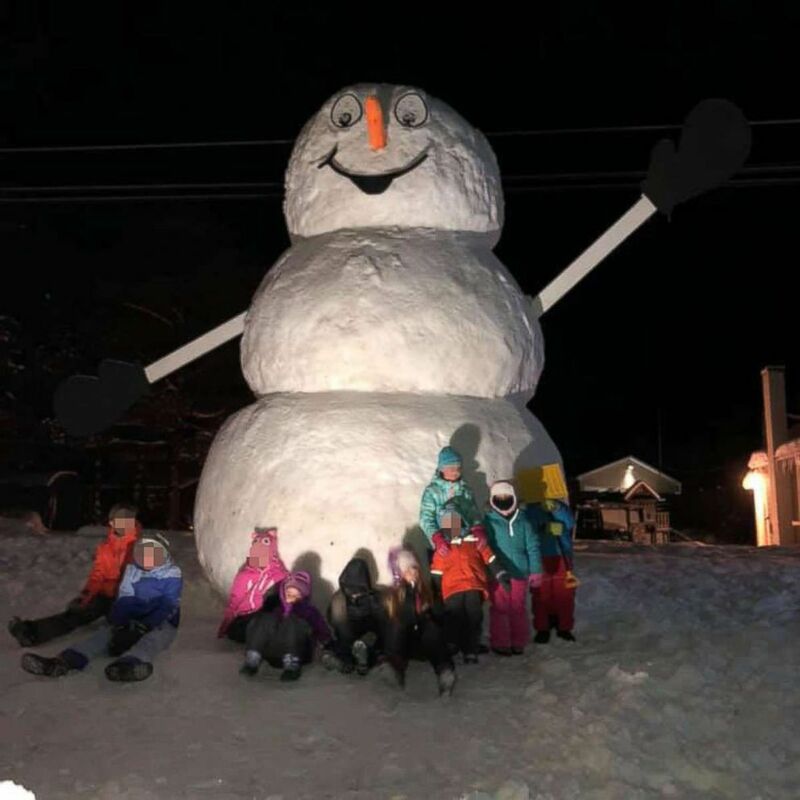 For three years running, the McCormick family has been building a massive snowman named Franklin in their front yard, that has become an annual holiday magnet for the children in the tiny hamlet of Vermontville, New York in the northernmost county in the state. “We probably have 20 people a day stopping in front of the house to take pictures,” Amy McCormick told ABC News on Christmas morning. This year, though, the family took Franklin to the next level. Back when he was just a 12-foot tall sapling of a snowman, Franklin rocked a respectable, 30-gallon garbage can as a top hat, but he outgrew it. So this year, Amy’s husband Pat McCormick custom-built a classier, 5-foot wide, 3-foot tall hat out of spruce wood and chicken wire. Pat McCormickNeighborhood kids in Vermontville, N.Y. cozy up to Franklin, an 18-foot snowman in need of a really long scarf. That led to another revelation: a hat as fancy as that was going to require an equally impressive scarf. ”Oh God, we [are] constantly packing the holes with snow and anything that melts -- sometimes his arms fall off -- and we have to just go and put them back on. 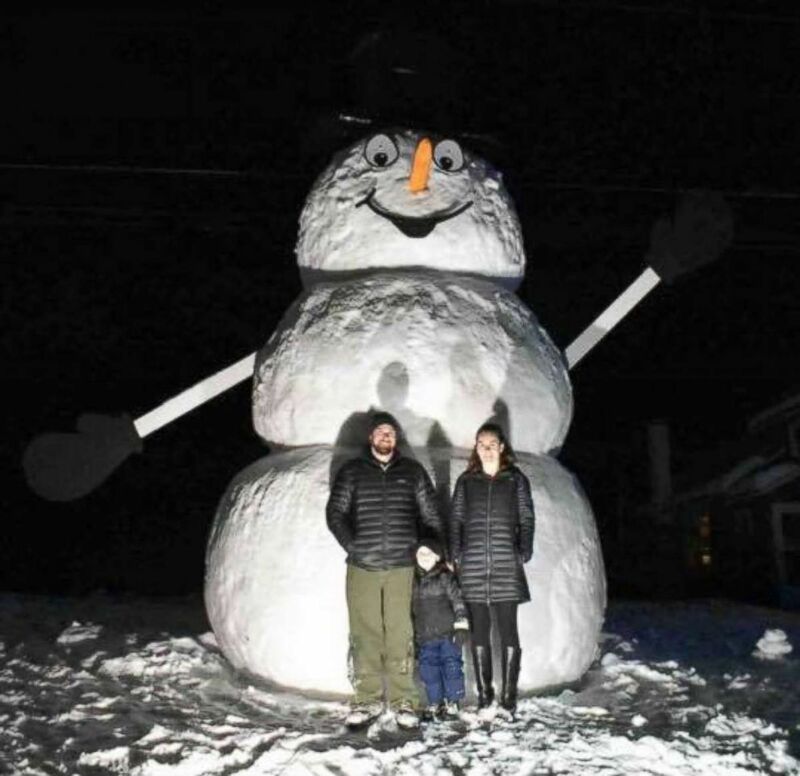 Pat McCormickPat and Amy McCormick, their son Elliott, and Franklin, an 18-foot snowman. So the McCormicks created a Facebook page and issued a call online for knitted material donations that could be sewed into a 20-foot scarf. Pat McCormickElliott McCormick, 8, poses with Franklin in Vermontville, N.Y.
She seemed to take the potential for a deluge of holiday wool in the mail in stride.”It’s always been my hope that something like this would pull the community together to give everyone a chance to be a part of Franklin. The construction of Franklin begins weeks before the holidays and spans multiple days, according to the McCormicks. 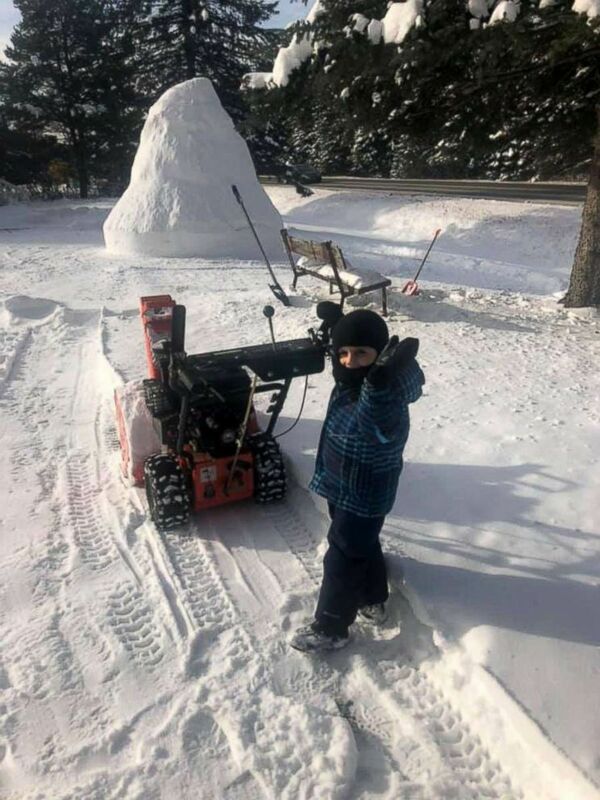 “We have a household snow blower that we just start going around the yard in circles with and blowing all the snow into big piles in the center of the yard and [blow] it high as we can,” Pat McCormick explained. 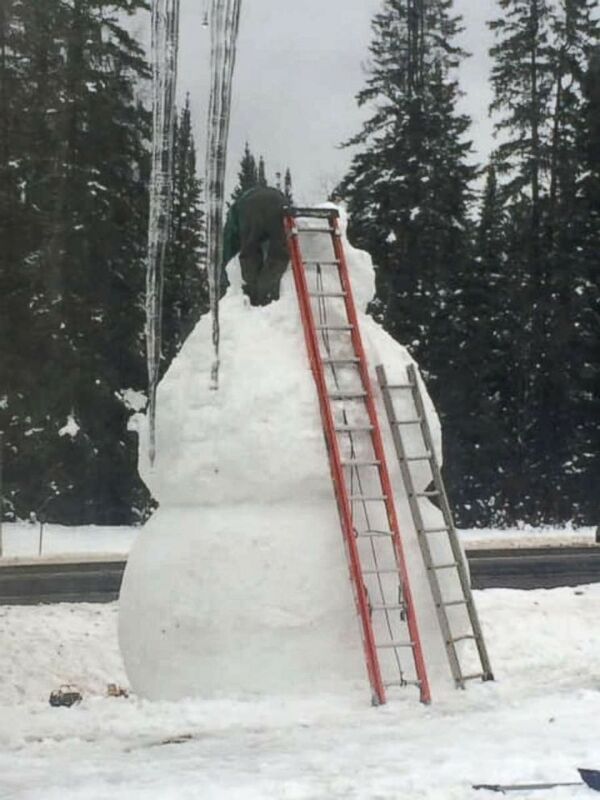 Pat McCormickPat McCormick uses a pair of ladder to scale Franklin, the biggest snowman in Vermontville, N.Y.
By all accounts, Franklin is a needy snowman. "Oh God, we [are] constantly packing the holes with snow and anything that melts -- sometimes his arms fall off -- and we have to just go and put them back on," Pat McCormick said. A recent warm spell threatened Franklin’s very existence. “It was 50 degrees and raining, so we put a giant tarp over his head,” Pat McCormick recalled. “It only took a couple hours to fix him up." Amy McCormick said she occasionally worries about Franklin’s dramatic annual growth spurts. “My husband gets so excited about it and really enjoys building things and I think it’s just his nature to want to do something bigger and better,” she said. “Naturally he wanted to make it a little bit bigger each year. Where do we go from here? I don’t know."